Manish is invited to a conference as a chief guest to speak about his industry experience in the field of pharmaceuticals. Having worked in the industry for around 25+ years, Manish is a big name in this field. He is currently the Vice President of the firm, handling all the pharma clients in his company “IloveITSolutions”. Our story begins when Manish receives a call from his CEO reminding him about the 1B $ deal about the new pharma client. Manish is supposed to prepare the company’s pitch and present it to that client. Manish steps into his car attending the call and signals the driver to take the car at the location of the conference. He promises the CEO that he would be working on this presentation after attending the conference today. Manish arrives at the conference and shares his experiences about how he has clinched every deal in the pharma sector. He advises newbies to work on the domain knowledge as this is extensively required in this field. Manish is then shown around the various upcoming technologies put in place by the vendors at the conference area. He is given a memento by some vendors as a token of thanks. He finishes the conference and steps into his car and leaves for the office. 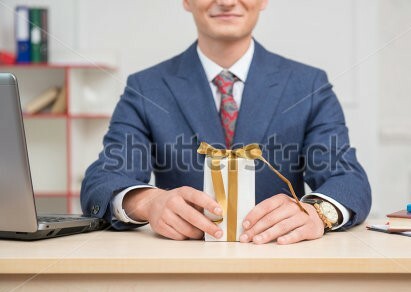 On his way, he starts to unwrap the gifts received from the vendors. Whatever be the case, Manish couldn’t resist opening gifts from a very young age. He opens up the first one and finds it to be a pen. The second and the third again turn out to be costly pens. He opens up the fourth one and loves it. He needed this one now. 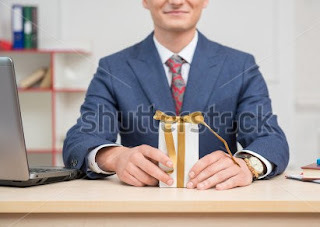 Are you wondering what the fourth gift was? Let’s not spoil the mystery. On the third floor, Rakesh is busy giving final touches to his presentation. Rakesh is the CEO of the competitor firm “Me2ITSolutions”. He is confident that the presentation would land him up the 1B $ deal. He adjusts his tie and enters the client’s office. He enters the room and delivers the presentation. The clients love it. It is a make or a break day for Manish. Clinching this deal would not only help him improve his stature in the organization, it would also help him to get him a promotion this year. He is confident of his pitch to the customer. After all, he took all steps to be ahead of everyone. Manish even poached the lead sales guy of the competitor firm “Me2ITSolutions” to understand their pitch. Manish begins the presentation. The customer looks puzzled. Manish finishes the presentation and waits for a response from them. The customer conveys that they would inform the winner in the evening. Manish is pacing back and forth in his office. He is waiting for the phone call. His phone rings. His heart racing and ears waiting to hear those 3 golden words “Congratulations! You Won.” Unfortunately, the person on the other side informs him that his organization has lost the bid. The customer rejected the bid as Manish had presented exactly the same idea as “Me2ITSoultions”. The CEO is puzzled as to how could two different companies present exactly the same slides to the client. He sends his best man to the rescue. He calls up the CSO – Arnav and asks him to investigate the matter. Arnav meets Manish and understands the events running up to the meeting with the clients. Arnav has some tools in his arsenal which he uses and investigates the laptop of Manish. The results don’t surprise him. He just smiles and prepares the report which is to be presented to the CEO. Arnav realizes and informs the CEO that Manish was a victim of a very sophisticated phishing attack. When Manish visited the conference a few days back, he was presented with a token of thanks. One of that token of thanks was a USB drive which contained a malicious malware. When Manish connected that USB drive to his laptop, the malware installed itself on his company laptop and the competitor firm was able to take remote of his laptop. In simple terms, the competitor firm could easily get to know what Manish was working on. In today’s world, malicious people may go to any extent to gather information. It is often seen that top management is always on the target as they are a goldmine of information. It is important that we should follow good information security practices and learn about cybersecurity.